It's common to find lots of games and toys at a yard sale. 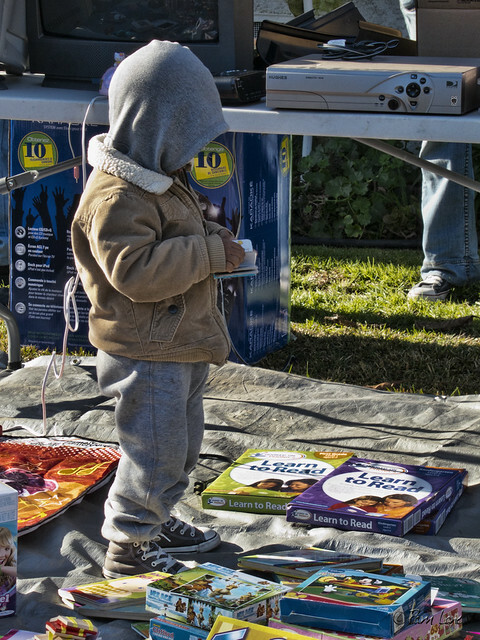 At this neighborhood sale, it looks like this young man is thinking about his academic future. The last time I personally organized a yard sale, the sale started early on Saturday morning and lasted through Sunday. These days, the sales regularly start on Friday morning. Is this true everywhere now? Given that a large proportion of the population either works or goes to school on Fridays, who shops at these Friday sales?